A mezuzah is a tubular container in which are biblical commandments – handwritten on parchment. It is mounted on the door frame, remindes Jews of their religious duties, and blesses the house. And these words, which I command thee this day, shall be upon thy heart; and thou shalt teach them diligently unto thy children, and shalt talk of them when thou sittest in thy house, and when thou walkest by the way, and when thou liest down, and when thou risest up. And thou shalt bind them for a sign upon thy hand, and they shall be for frontlets between thine eyes. And thou shalt write them upon the door-posts of thy house, and upon thy gates. Now there are no Jews in the old town of Lviv any more. Once they were a wealthy community, protected within the walls of the medieval city and privileged compared to the poor of the suburbs. When they were gone, the blessing of their homes disappeared as well. They were removed, just as the people were removed from their former life. But the traces are still visible. Since I saw the first time a trace of a mezuzah in Lviv, I developed an “archaeological view”. On each door frame my eyes wandered to the right and upward. I’ve given up trying to do something about it. You also make discoveries by this. 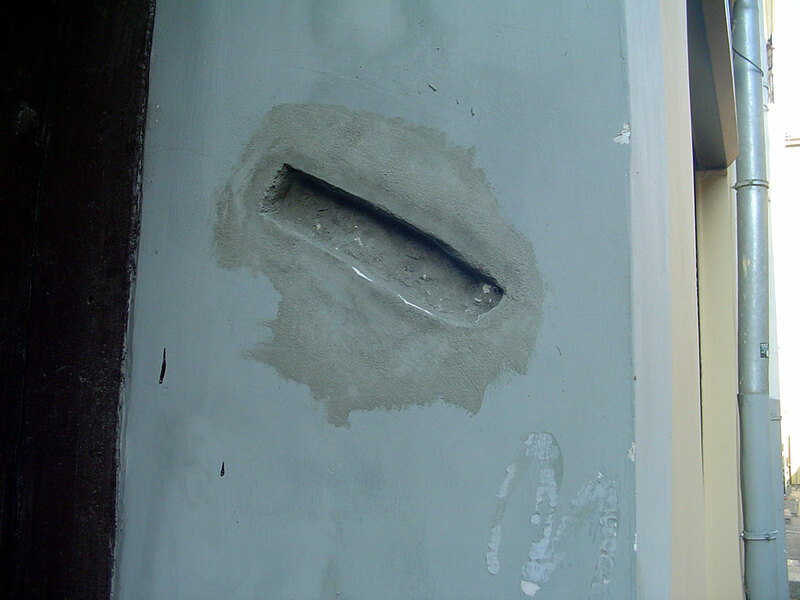 For example, this: In many places the “damages” at the door frames are patched with cement. The homeowner felt uncomfortable with the trace of the mezuzah or simply did not know what the hole in the door frame means. At one place, however, someone conserved the trace of the mezuzah. The entrance is freshly plastered, but the cutout for the mezuzah was carefully preserved. Here somebody safed traces and did not blur them. Perhaps the beginning of a culture of remembrance.